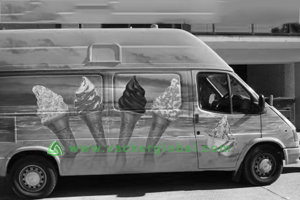 We have installed a monitoring device for continuously monitoring the temperature of Ice cream delivery van. The device will send the temperature and other important parameters of the cold storage of the vehicle to the Supervisor every hour (Or any other interval) through SMS. Also in case of variation of the temperature beyond the permitted range, the device will send SMS to the Supervisor or any other operator. Up to 20 different mobile numbers can be programmed as receivers. This device is very useful especially in hot climate conditions to ensure that the Ice cream remains under stipulated temperature conditions until delivery.